Users and Groups may join multiple groups simultaneously. ProVide is flexible and innovative user and group rights management system coupled with scripting and other management features is the administrators dream. In this picture user “Test” is member in a group with c:\Testfolder as resource. 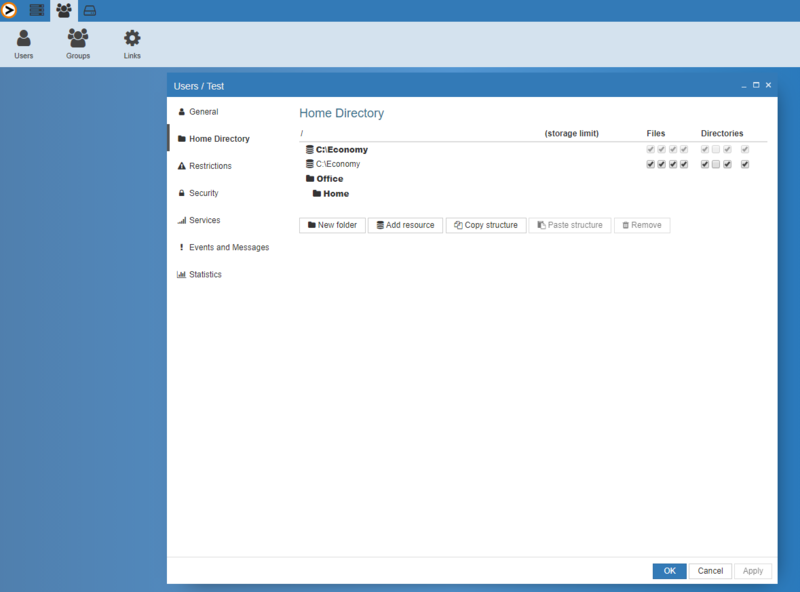 To access the home directory settings you need to login on the web based Admin interface with an account that has Admin privileges. Then in the top menu you click on the user tab at top left. Click on Users and the user then choose Home Directory at the menu on the left side.